Happy New Year everyone! It's hard to believe it's 2005. When I was a kid I thought that everyone would be wearing silver jumpsuits and driving flying cars by 2005. But it seems like I'm the only one wearing a silver jumpsuit around here. I hope these links are useful. You could spend hours clicking through them and reading. 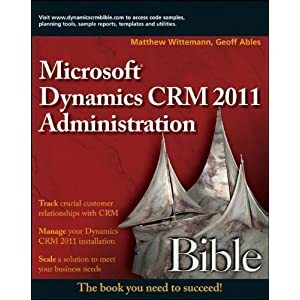 And please let me know if you have any interesting links to share regarding CRM. Hope 2005 is a great year for you and for your Microsoft CRM business!